Conte’s offers Gnocchi, Pierogi, Ravioli, Shells, Tortollini, Pizza and Italian meals, all Certified Gluten Free and created with the customary methods that Angela brought straight from Italy. Along with help from her son, Mike, Angela is still in the kitchen at Conte’s and personally guarantees the quality of her products, so place an order today! 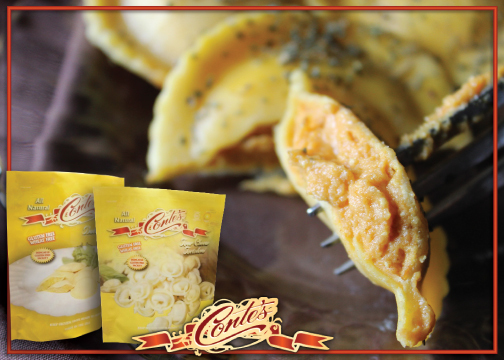 For the month of November, all of Conte’s Gluten Free items are 15% off. It’ time to stock up! *Price reflects 15% Case Discount, effective November 1-30th, 2015.